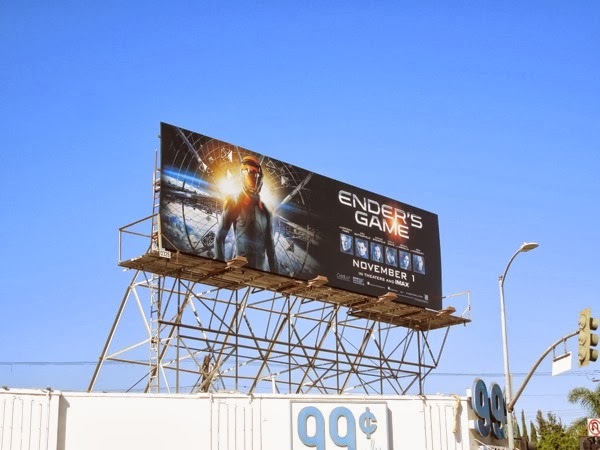 To support this movie or not to support this movie, that is the million dollar question. 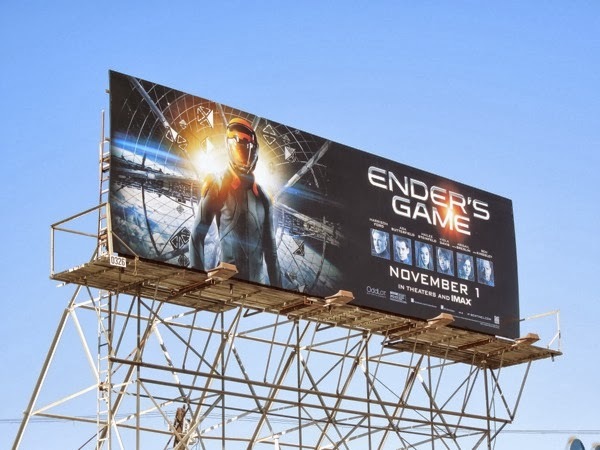 Ender's Game may be set in the far future, but sadly it's mired in the worst of humanity's problems today. Orson Scott Card the writer of the 1985 book that this sci-fi movie is adapted from is a confirmed homophobe, which doesn't make for a very bright future for humanity, even though we all know (those of us who are sane at least) that equality is inevitable, a movement especially evident amongst the younger generations which is interesting considering this movie's premise features kids as the saviors of Earth. Asa Butterfield was great as the wide-eyed kid in Hugo, and he's the titular 'Ender Wiggin' in this futuristic battle for Earth's survival. Plus he's joined by the likes of Harrison Ford, Ben Kingsley, Viola David, Hailee Steinfeld and Abigail Breslin (who were obviously more interested in a paycheck than supporting civil rights). 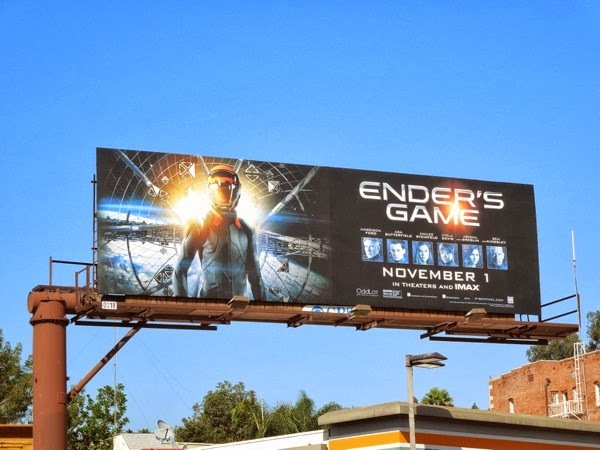 This suitably science fiction looking billboard for Ender's Game was first spotted along Fairfax Avenue on October 5 and later along Cahuenga Boulevard on October 11, 2013. 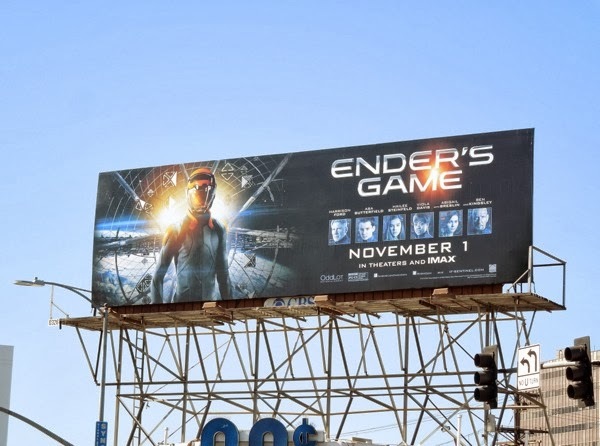 The controversy surrounding this movie means that it probably won't be judged on its own merits and there is a boycott planned by the gay community and their supporters, so even though Daily Billboard is featuring the film's promotional adverts we certainly do not support the author's anti-gay prejudice and hateful beliefs. Let's hope the future is far brighter than this one bigot envisages.